This is the year of the third kit. Now that the draw for the Champions League Group Stage has made us all a little giddy (Liverpool vs PSG, anyone? 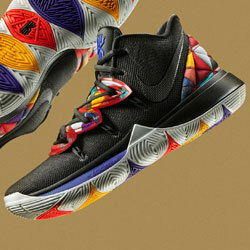 ), the guys at Nike have been busy dropping kits left, right and centre. 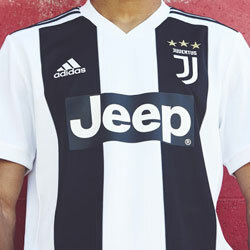 These gorgeous third kits have been specifically tailored with Europe’s elite competition in mind, with each club set to wear the new designs on their travels across the continent. From bold and brash, to clean and simple, Nike have delivered a collection of football kits which has got us desperate for the competition to start. Here are some of the highlights to look out for. Bold. Beautiful. And incredibly Barcelona. This two-tone third kit features a delicious ‘Atomic Pink’ colourway, with a darker red sash running diagonally across the front of the shirt. The graphic pays homage to the Avinguda Diagonal, a broad avenue which cuts through the heart of the Catalan city, while the pattern is based on a bird’s-eye view of the iconic Eixample District. 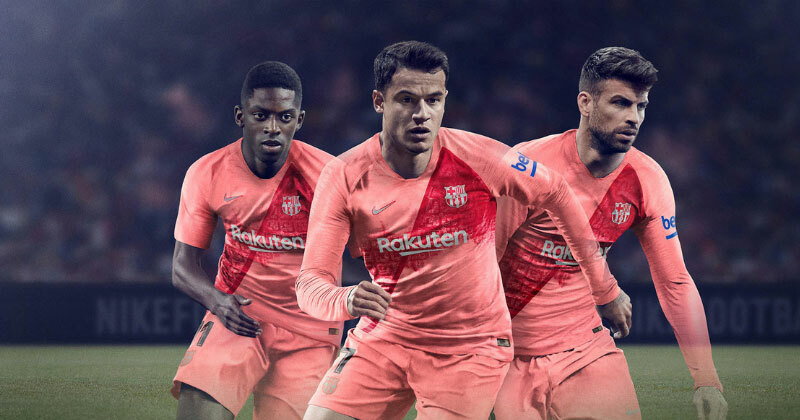 Just as with their new home and away shirts, the 2018/19 third kit is a love-letter to the city of Barcelona. Swathed in stony colourways and distinct marble shapes, the new Inter Milan third kit is another celebration of an incredible city. Inspired by the marble floors of Duomo di Milano, the swirling graphic is actually an abstract depiction of Milan’s city centre; while the St George cross is another Milanese symbol which features prominently here. It might be based on the history and heritage of the city, but you just can’t escape the contemporary vibes coming from this innovative football shirt. It’s good to have you back, Inter. The sash is back with a bang. A staple feature of City away kits in the 70’s, this time the diagonal stripe looks dazzling in shades of bold orange, exuding confidence alongside a deep purple colourway. 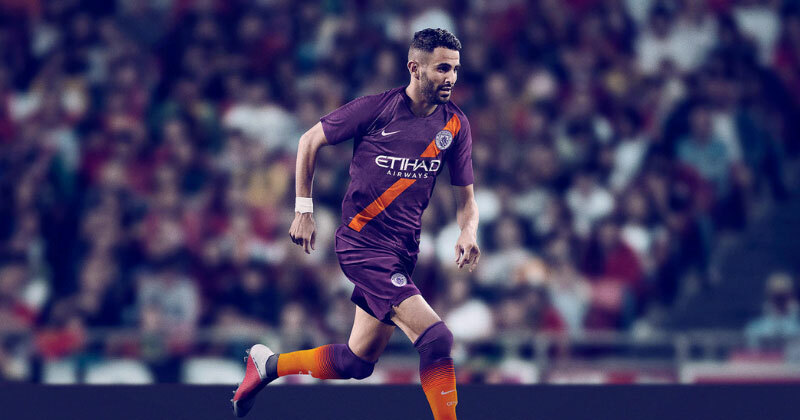 This design perfectly encapsulates the audacity and swagger with which City play, and it’s undoubtedly one of the most striking kits you’ll see in the Champions League this season. This kit is jam-packed with the myths, legends and histories which make Rome so special. You can find a distorted map of the city within the fiery gold colourway, which references some of the key moments throughout Roman history; alongside the Lupetto, a powerful club symbol which originates from the city’s founding myth. If it all sounds a little over-complicated, it really doesn’t look that way. 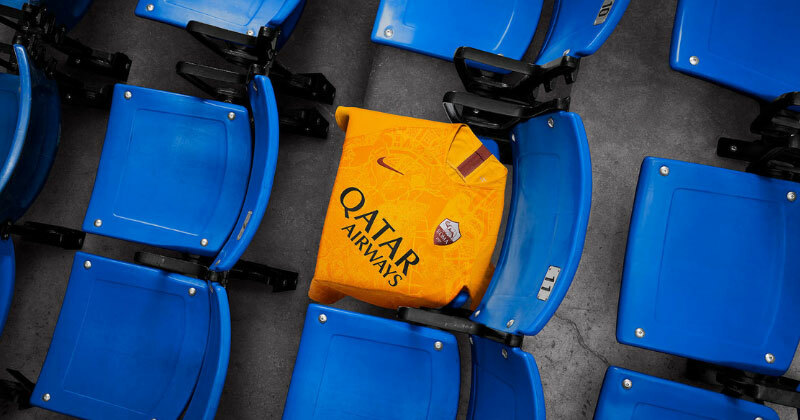 Nike have come up with a simple, crisp design which celebrates the history and future of the Italian capital. Love it or hate it, you won’t see another kit like this in the Champions League. Featuring a striking turquoise and dark blue colourway, the new design includes a classy graphic which provides an aerial view of Spurs’ new London home. 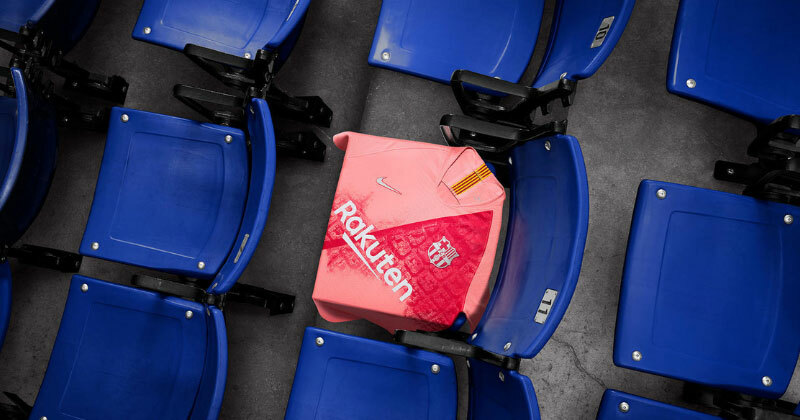 Serving as a celebration of the club’s past, as well as its bright future, this is probably one of the strangest kits we’ve seen so far this season- and we still can’t decide whether we like it or not. 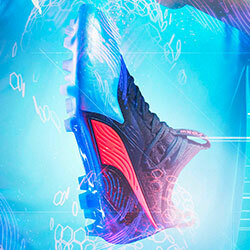 Either way, it’s always refreshing to see Nike trying something a little bit different. Like the look of any of these new shirts? 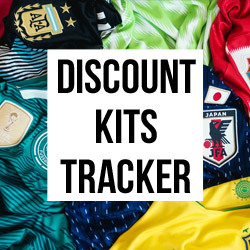 You can compare prices on all Nike 2018/19 football kits right here at FOOTY.COM. 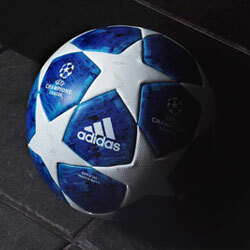 We’re bringing you the best deals to help you save a little money before the Champions League gets underway!